Due to the constantly increasing demand for bandwidth thanks to audio and video applications, internet websites full off interactive content and internal applications, the demand for high-speed networking solution rises as well. Eminent offers an attractive way to prepare your computer for the future in networking: the Gigabit network. With data transfer speeds up to 1000Mbps a Gigabit network offers enough 'room' for even the largest applications. 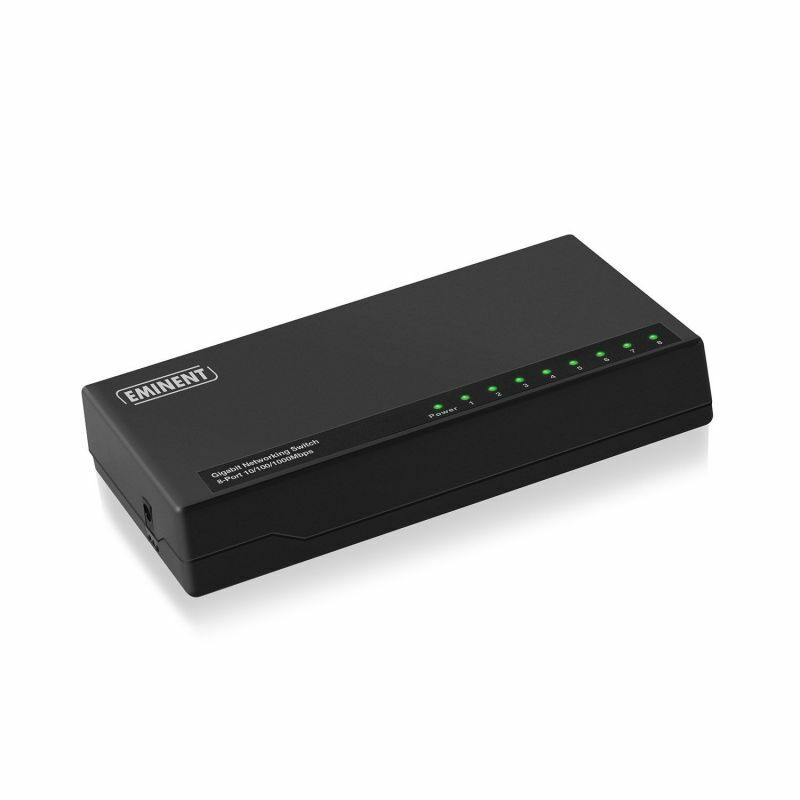 The Eminent 8 Port Gigabit Networking Switch allows you to set up a network fast and easy. 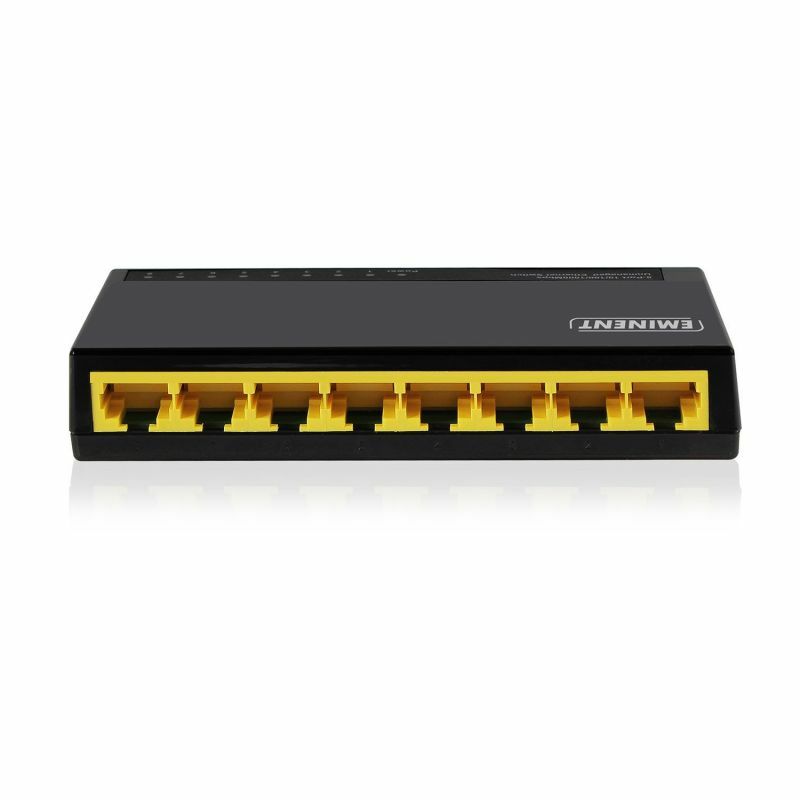 The Gigabit Networking Switch has 8 independent 10/100/1000Mbps ports supporting full-wire speed transmissions in half or full duplex modes. Do you wish to offer quick network or Internet access to all users? The Gigabit Networking Switch achieves optimal performance, thanks to the N-Way auto-negotiation function. The Gigabit Networking Switch can automatically choose the correct speed. Cross-over detection ensures that users can connect the switch to another switch or hub without needing to connect a crossover cable. 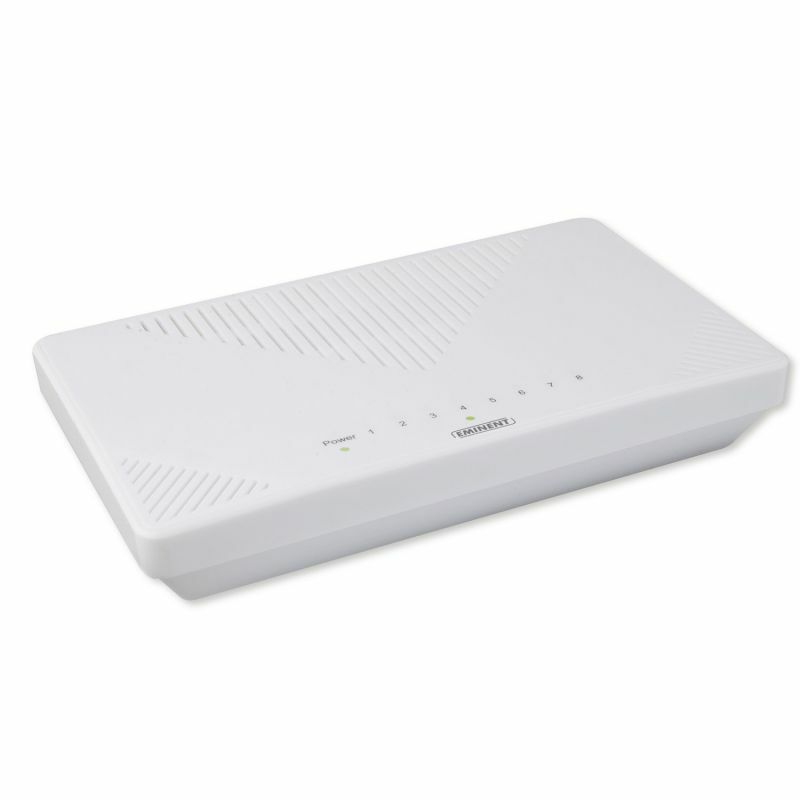 Perfect for setting up or extending your network!